Today we continued the installation of the solid-fuel heater. 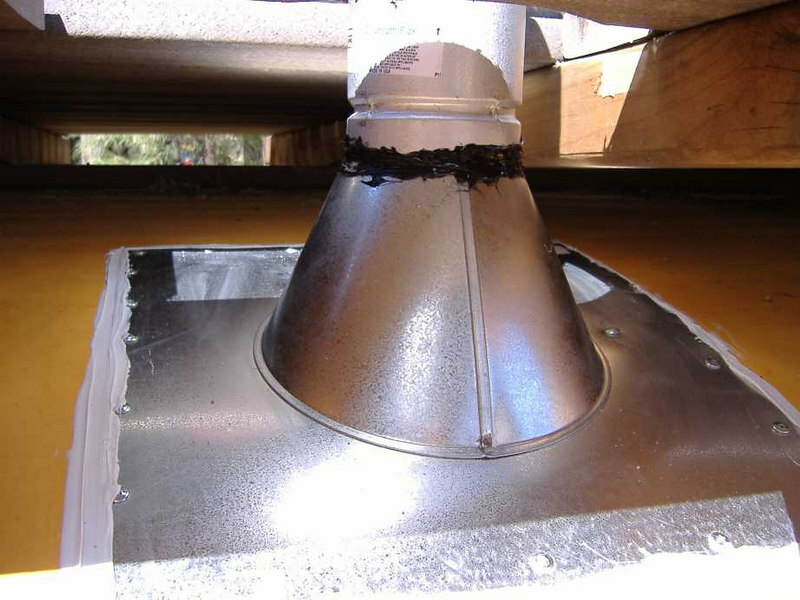 The 3" diameter stove pipe peeks through the 5" hole in the bus roof. The perforated interior trim ring is also visible. 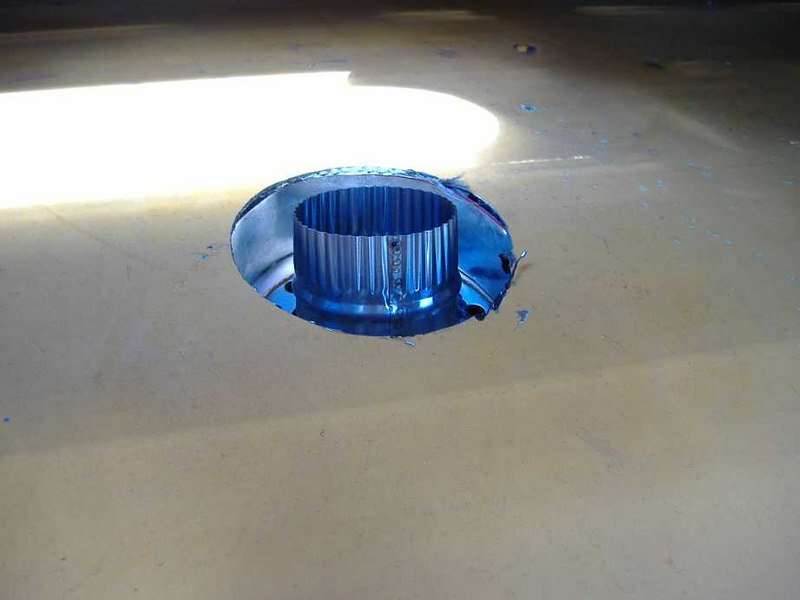 To the 3" pipe end, we added a 3"-to-4" adapter pipe and flashing. 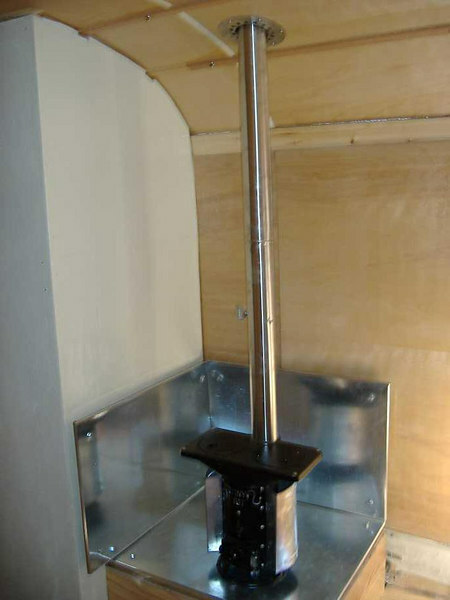 This double-walled adapter (and the rest of the pipe above the roofline) is rated for pellet stoves -- and the label states that it is intended for exhaust temperatures up to 570º F.
Although not pictured, we also added a 1' section of the double-walled pellet stove pipe above the adapter. This will be the base configuration for traveling and warm temparatures. 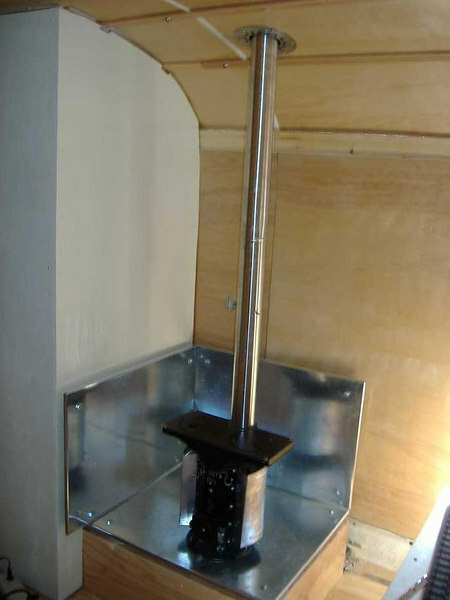 We'll get a 3' section of pipe and an exhaust cap that will be added when the stove is being used. 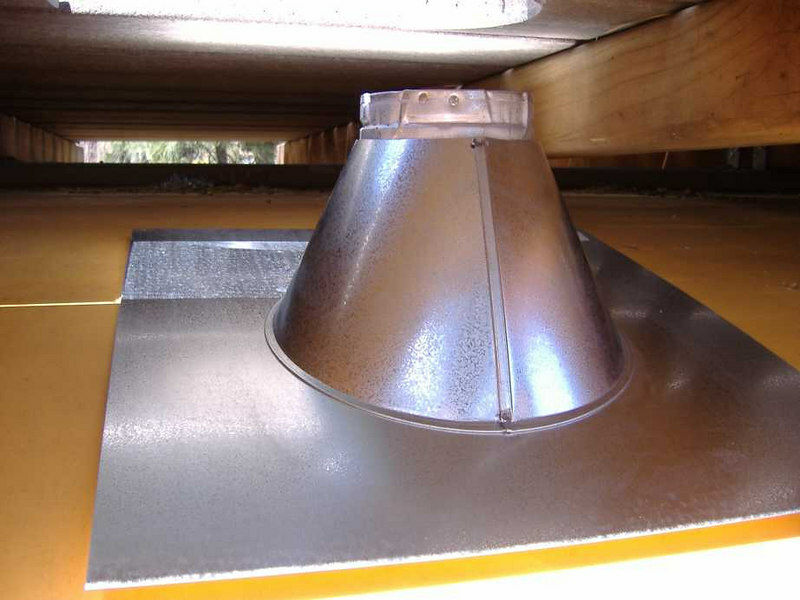 This places the top of the stove pipe over 3' above the deck level. Not-so-neatly-applied weather proofing: Butyl caulk around the perimeter of the flashing, and hi-temp silicone goop at the junction of the flahsing and stove pipe.